Fine dining isn't usually what I'd go for, getting a group of people together for food is sometimes hard enough with our jam packed diaries so the venue is usually where we can decide on the quickest. 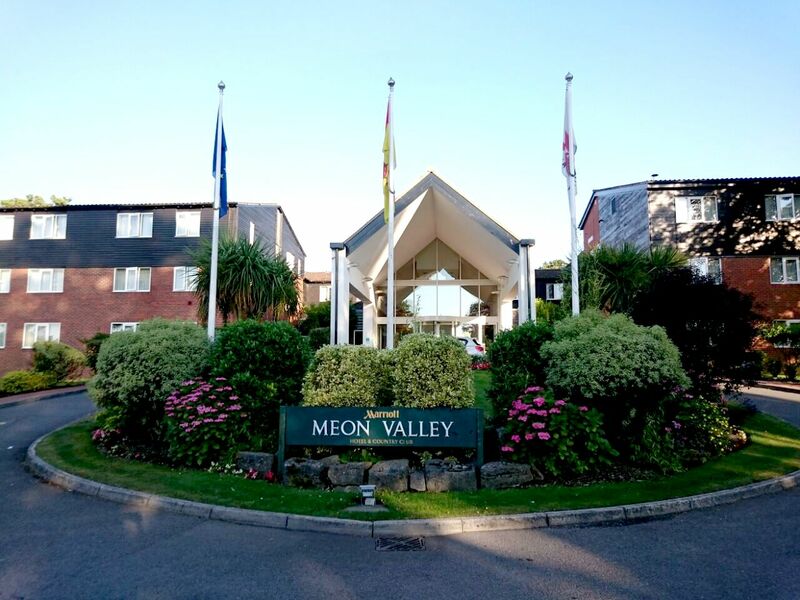 When myself and a friend were invited out to Meon Valley Marriot Hotel to try their Hampshire on a Plate set menu recently we made sure our diaries were free pretty quickly. 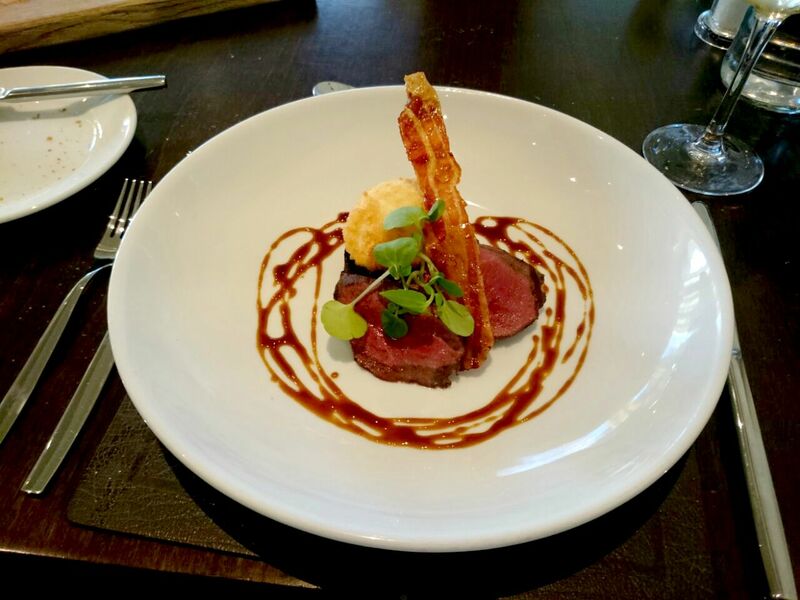 The Broadstreet restaurant and bar is a reservation only AA rosette award winning restaurant housing Executive Head Chef, Paul Watts and his team. The Hampshire on a Plate menu was inspired by the incredible produce on our doorstep here in Hampshire. The restaurant was set out beautifully, light and airy with views of the grounds where you could sit out and have a glass of wine. We were greeted into Broadstreet and seated by Sabrina who looked after us incredibly well all evening. While scanning through the menu we were offered chilled bottled water and specialty bread served with butter and a choice of plain or chilli salt. 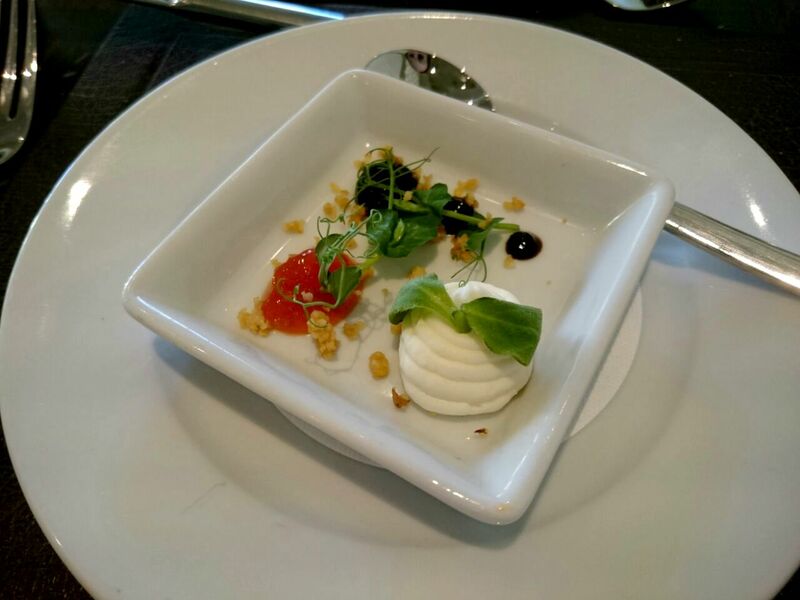 After placing our orders and sitting back with a glass of wine we were served a small dish of moussed Goats cheese, Balsamic Vinegar and Tomato Chutney. The starters consisted of Seared Beaulieu Estate Pigeon, Owntons Black Pudding, Pancetta and Crisp Poached Eggs for myself and Rosary Goats Cheese and Sun Dried Tomato Bon Bons with Beetroot and Basil for my friend. I felt I had to step out of my comfort zone a little so trying pigeon and black pudding did exactly that. The pigeon was delicious and rich, I wouldn't of been able to eat much of it due to it's richness but the portion served was spot on. The crisped poached eggs and pancetta also complimented the pigeon perfectly. The Goats Cheese Bons Bons were also really good, I forget how much I love Goats Cheese. 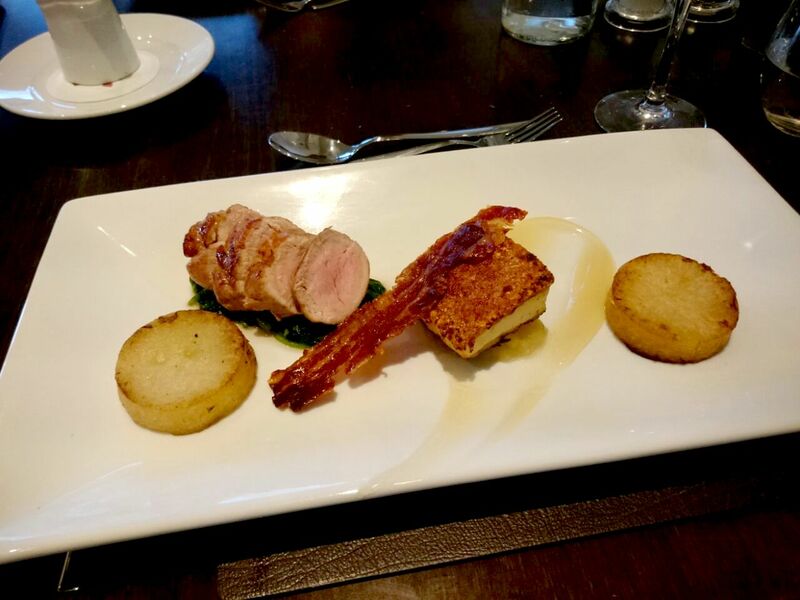 My friend, Alice and I both went for the Bracken Farm Pork Honey Roasted fillet, Confit belly, crisp Pancetta, Hill Farm Apple gel and baby leaf Spinach. The pork was beautiful and cooked to perfection, the confit belly and crisp pancetta made the dish and with a slight drizzle of gravy, my meal was complete. I could of quite easily eaten it again, it was amazing. 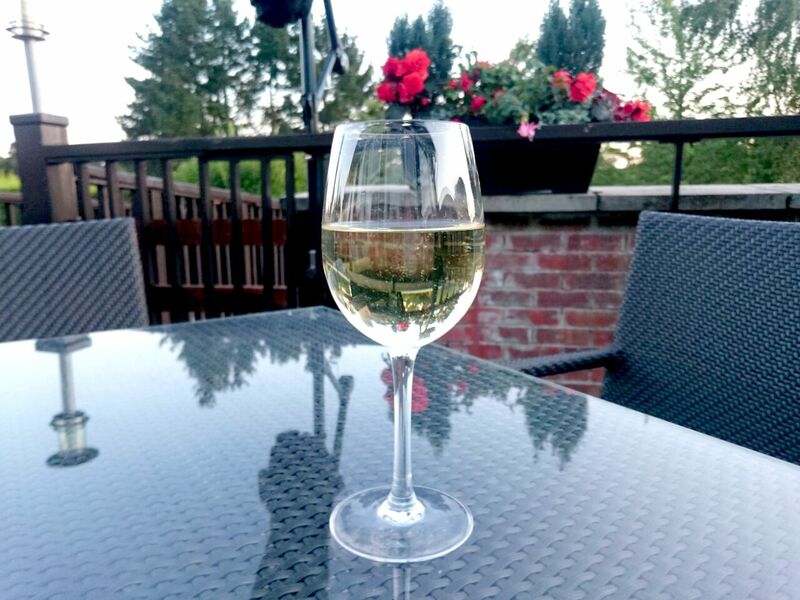 After our mains we grabbed another glass of wine to sit on the decking while the moon came up before ordering desserts. We were little piggies and had dessert followed by the cheese board. We both went for the Raspberries, White Chocolate Mousse with Shortbread Crumb which, again was delicious, beautifully presented and complimented each piece perfectly. 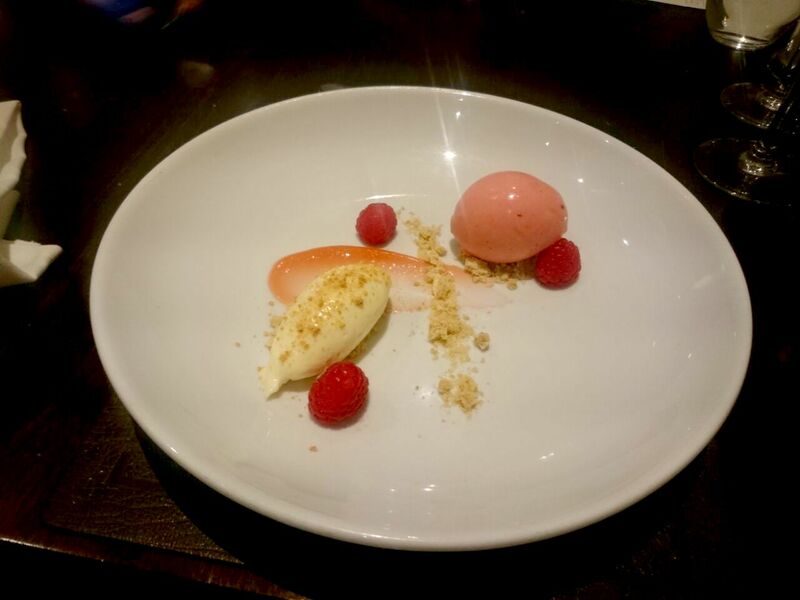 From the sharpness of the raspberries to the sweet white chocolate mousse, it was melt in your mouth perfection. 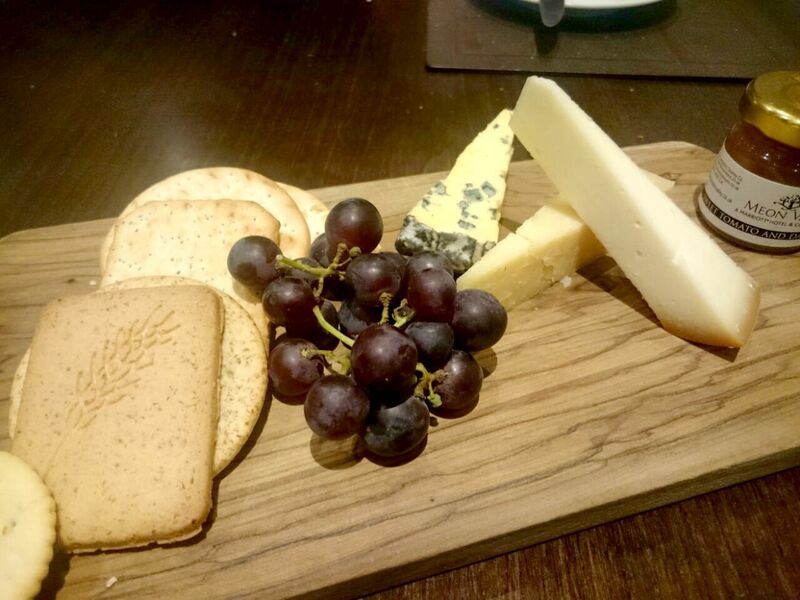 The cheese board was brought out with sweet tomato and date chutney. cheese crackers and grapes with three types of cheese. I have no idea what the cheeses were as we weren't told and didn't get the chance to ask. By the time our desserts came around a large wedding party came into the restaurant and it became a little difficult to get anyone's attention. As much as I don't mind to be left alone to enjoy my meal in restaurants I would of loved a chance to find out a bit more about the origin of the cheeses we were eating. The Hampshire on the Plate menu was amazing and for the price of £25 for three courses it was a total steal. The food was incredible, it was beautifully presented and worth every penny. The menu I tried was only available until the 2nd August but the standard menu looked pretty delicious too and I would definitely go back again to sample more. Complimentary meal for the purpose of review - see disclaimer. 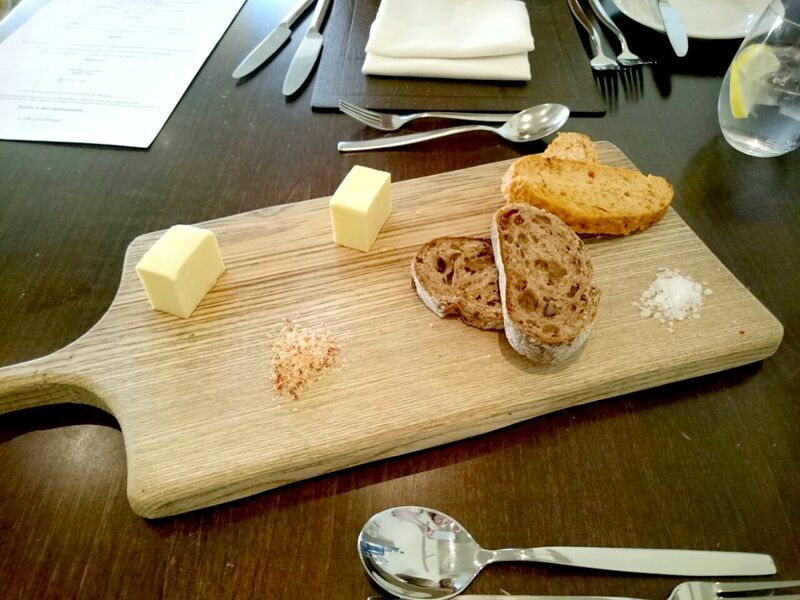 The cheeseboard looks soo good! Definitely need to check this place out!